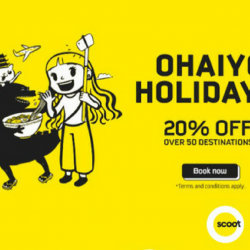 Book by 1 Sep 2018 Scoot: Enjoy 20% OFF Over 50 destinations with PAssion Card! Enjoy 20% off Economy Fly Fares over 50 destinations on Scoot with PAssion Card! Popular destinations include Bangkok, Taipei, Honolulu and Tokyo! Book your tickets by 1 September 2018. 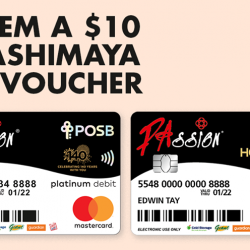 Shop with PAssion POSB Debit Card at Takashimaya from Thu 7 Sep to Sun 10 Sep 2017 and redeem a $10 Takashimaya Gift Voucher for every $140 spent. Terms & conditions apply. Great time to head down for your mooncake haul at Takashimaya Mid-Autumn Festive Celebrations Fair! 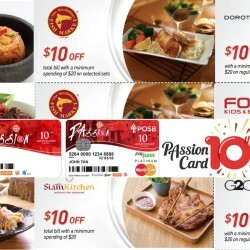 Till 30 Sep 2017 Food Republic: Flash your PAssion Card to Enjoy an Exclusive 10% Discount on Weekdays! Till 30 Sep 2017 Popeyes: Enjoy 20% OFF with a PAssion Card! Enjoy the unique American cuisine, Louisiana cooking at Popeyes with their hand battered famous fried chicken blended with their own spices and seasonings. From now till 30 September 2017, enjoy 20% off with a minimum spending of $10 when you present a PAssion Card at Popeyes! 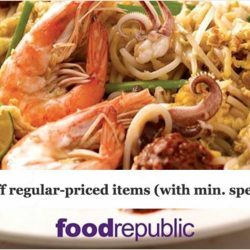 28 Dec 2016 Guardian: 1-Day Super Sale with Up to 60% OFF + Additional 5% OFF for PAssion Cardmembers! Grab all your essential needs from Guardian 1-Day Super Sale today (28 Dec’16)! 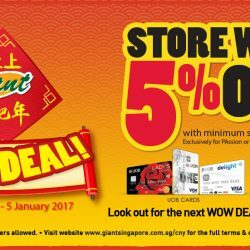 You won't regret it - up to 60% off, at 62 participating stores or online at www.guardian.com.sg/1day! Receive a $5 voucher with just a minimum spend of $80/$100 when you pay with your UOB Delight Card and other UOB Cards respectively in stores. Minimum spend must be made in a single receipt, while stocks last. Vouchers not applicable for Guardian Online. T&Cs apply. 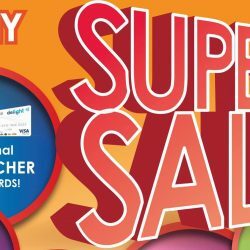 26 Oct 2016 Guardian: 1-Day Super Sale with Up to 60% OFF + Additional 5% OFF for PAssion Cardmembers! 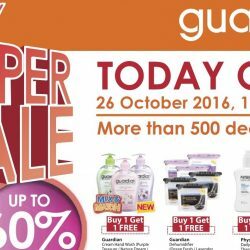 Guardian 1-Day Super Sale is back again today! With discounts of up to 60% & over 500 exclusive deals including Buy 1 Get 1 FREE! For just one day today, enjoy all these great offers at 61 selected Guardian outlets and on their e-store. PAssion cardmembers enjoy additional 5% OFF on selected brands! 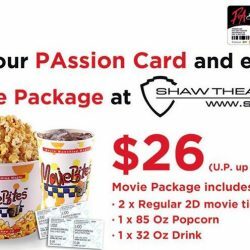 From now till 30 September 2016, Passion Card Members can enjoy an exclusive $26 Movie Package at Shaw Theatres! Are you a PAssion Card holder? 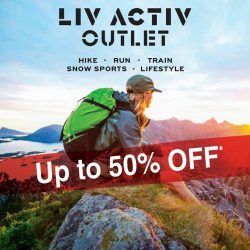 If yes, you get to enjoy additional 5% off at the LIV ACTIV Outlet Store at Changi City Point. Visit us today! 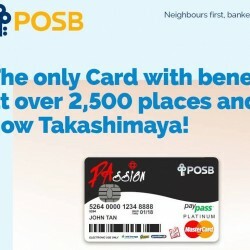 By 31 Oct 2015 POSB Passion Card: Free membership and $10 Cashback when you apply now! 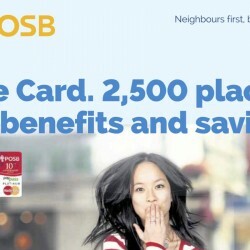 The Passion POSB Card is the must-have Card for everyone! This card is also your ATM, NETS, Debit MasterCard and EZ-Link Card. Plus enjoy 10 exclusive offers on the 10th day of every month, including 50% extra cashback, better benefits and more savings at over 2,500 places. Apply now via iBanking and enjoy free membership for 5 years plus receive S$10 cashback! Remember to charge to your Passion POSB Debit Card when you make purchases at Takashimaya Department Store and Takashimaya Square, B2 as you can get 1% cashback! Especially if you are buying mooncakes at the Takashimaya Mid Autumn Festival! Passion Card is celebrating its 10th birthday this year! 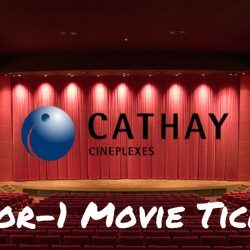 In addition to its existing benefits, they have special $10 OFF coupon treats with min. spending of $20 at many merchants such as Umi Sushi, Bangkok Jam, G2000 and more! This is essentially 50% off! Coupons are valid till 30 November 2015. 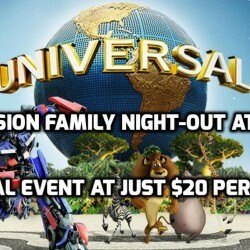 To celebrate PAssion Card’s 10th Anniversary, Universal Studios Singapore® will be opening at night for an exclusive PAssion Card closed-door event! PAssion Card Members can purchase up to four tickets to this special event at just $20 per ticket. 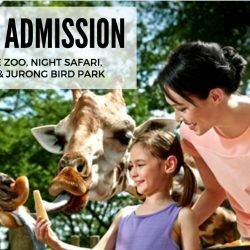 Even better, Resorts World Sentosa will extend a complimentary ticket to a less-privileged beneficiary for every five tickets sold! To purchase your tickets, visit www.rwsentosa.com/PAssionCard starting from 31 July 2015. Tickets are limited. Come and enjoy a free goodie bag worth $25 with a minimum purchase of $50 in a single receipt at Pet Lovers Centre North Spring Bizhub. 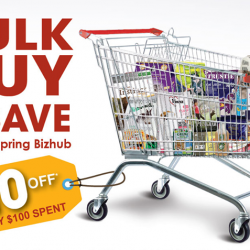 You’ll also enjoy $10 off for every $100 spent and 3% off regular-priced items with a minimum purchase of $15. Simply present your PAssion Card upon payment. hurry grab yours today! Guardian Super Sale Special! 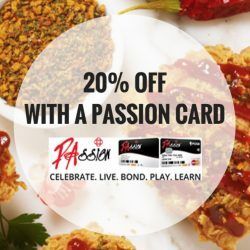 Flash your PAssion Card and get 20% OFF STOREWIDE!! Happy Shopping! Valid till 25 June 2014, while stocks last. EXCLUDES promotional items and promo packs, newborn milk powder, prescription & pharmacy-only medicines, newspapers and magazines. Terms and conditions apply. Bulk purchase by traders excluded.